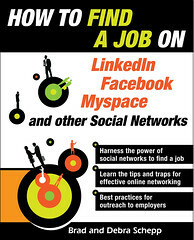 Myspace significantly reduces staffs to compete with fast growing Facebook. Can you believe that Myspace is letting go 30% of it workers? That is so crazy. I remember, when Myspace first started, all of my friends created an account and could not stop talking about it. Myspace was the premiere social networking site on the internet. But now its growth cycle is on its way down because of the new social networking site such as Facebook and Twitter. I cannot believe it. What a pity but desperate times call for desperate measures. Can Myspace save itself by cutting down the fact? Should myspace renew it website? What do you think? Is the same going to happen to Facebook and Twitter if a new social networking site is created? I hope not, but the evolution you never know. Now no one talks about myspace anymore. It is like myspace has never existed despite its popularity. This is the night mare part of business when it comes to evolution. What is lost for such a powerful company. Can Myspace compete against facebook and twitter? I do not know how about you? QVC – Times they are a changing. . .
QVC and other such companies that have profited from being so innovative need to change their business models and adapt to the changing times. QVC is a very big and profitable business that started out selling products, mainly, on TV. This was pretty unique but now with the internet and the soon-to-come M-Commerce, they aren’t as unique any more. No one in our generation wants to wait to see the product they are looking for come on TV to purchase it. QVC may profit from our parents and grandparents but unless more advertising brings us to the attention of their website and new techniques, they may not make it. I did like to see that they have a Facebook and twitter page. These mechanisms help. I think in the time to come QVC will find a way to be innovative in these times. They are a profitable business and well established as well. They found a way to succeed before I think something creative is brewing. Are Your Salespeople Using Twitter?